If you were born and raised in the Motor City, chances are these local celebrities need no introduction, but you'll enjoy your memories of them. If you're relatively new to the Detroit area, get in the know about local lore and legends. A landmark on Michigan airwaves throughout the 1960s and '70s, many Detroiters grew up watching Bill Kennedy host the only alternative to soap operas in the long afternoons of summer: "Bill Kennedy at the Movies." While never an A-list celebrity, Kennedy made a living at his craft, acting over the years in 12 TV series and 64 movies, often uncredited. His distinctive voice made him a natural for voice-overs, such as the announcer in the "Adventures of Superman" TV series and as a television host. Back in the day, Rita Bell was a daily fixture on TV as the host of "Prize Movie," an intermission segment aired during the morning on Detroit’s WXYZ-TV. The segment consisted of Bell playing a song and the TV audience calling in to guess the title for a cash prize. Bell made it into a career, hosting the segment throughout the 1960s and '70s. She was uniquely qualified for the position, having both broadcasting experience as Detroit’s first woman weathercaster and music experience as a singer in a band. In fact, she was singing in a band when she was discovered by the general manager of WXYZ-TV. Bell's sole acting credit outside of local TV, according to IMDB.com, is one 1968 episode of "Big Valley." Lucky for Detroiters, her guest-starring appearance didn't turn into a re-occurring role. Bell died in 2003. Bozo the Clown is a well-known character to kids across the country, but Detroit had its own unique relationship with the man beneath the makeup: Art Cervi. Bozo the Clown was a franchised character, originally created by Jay Livingston for Capitol Records in the 1940s. The character showed up in several media formats before being portrayed by a live actor on TV in Los Angeles. Bozo’s success on TV resulted in many Bozos spreading across the country as local TV stations licensed the character and simply hired their own actor to play him. Detroit was no exception, having two different actors play Bozo in the years leading up to 1967. In that year, Bozo, for reasons unknown, disappeared off of Detroit TV stations, forcing Detroiters to rely on their neighbors across the river for their fix: Windsor, Canada’s, CKLW-TV, Channel 9 on the VHF dial, was easily received in Detroit, and so, too, was Art Cervi's Bozo. With his ring of flaming red hair, floppy white bib, and Treasure Chest of Toys, it was this Bozo that became Detroit-area residents' treasured childhood memory. In fact, nary a scout troop missed seeing the show filmed live. Cervi played Bozo on CKLW until 1975, when he emigrated from Canada to play Bozo on Detroit’s WJBK-TV. To Detroit kids, Cervi was Bozo. Of course, Detroit kids were sometimes exposed to other Bozos on the occasional vacation or trip out of town. After struggling with the inevitable Bozo confusion, they discovered that all the others Bozos not only paled in comparison but could be downright creepy. 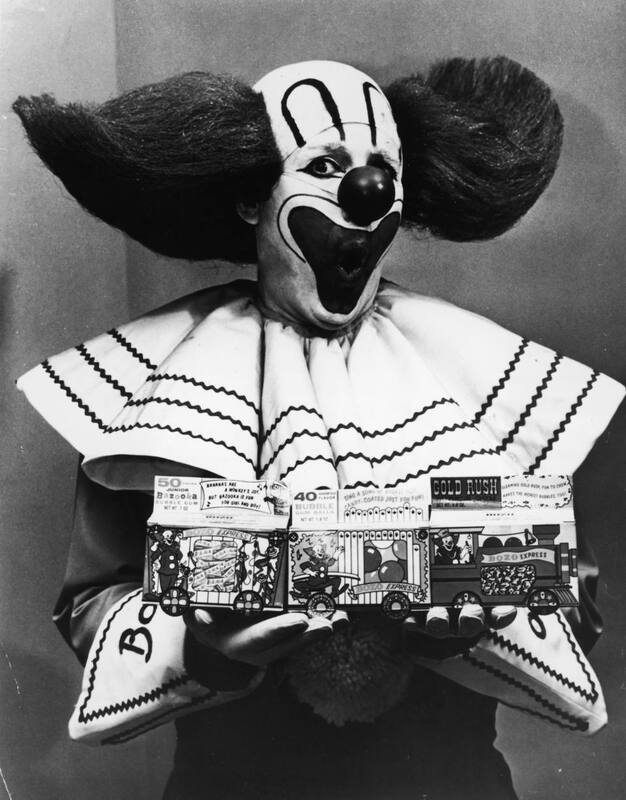 Just look at an old picture of Washington D.C.’s Bozo, Willard Scott, or Chicago’s rounder, scarier Bozo, Bob Bell.